SSWA has faithfully contributed to Earth Day endeavours since 2003. 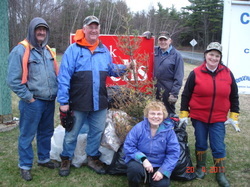 The Association routinely cleaned the ditches on Logan Road in Bridgewater between St. Philip’s Street and King Street each April, averaging approximately eighteen large garbage bags each year. During the first cleanup over 300 coffee cups alone were collected. Most recently we have applied our efforts to encourage the reduction of littering through meetings, letters, and pleas to the public. For the last few years SSWA members have started to clean in their own areas. In 2018, five groups worked a total of 91.5 hrs cleaning the ditches of 10 km of highways,collecting 186 bags plus misc. larger items. In 2013 SSWA was asked to take part in this annual 2 day event by giving a rabbit snaring presentation to the young participants. We have been doing it ever since. 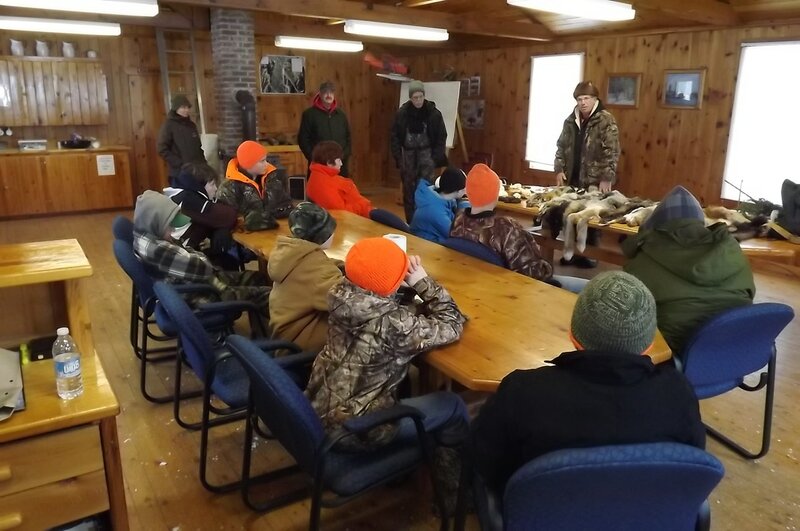 It is held at the DNR McGowan Lake Depot in Queens Co. and our part consists of teaching them about rabbits, how to make and set snares, and how to handle and clean a rabbit. Each young person gets to set their own snare in local woods overnight as well. We also sponsor 3 of the 12 participants each year in memory of departed member Greg Tanner. 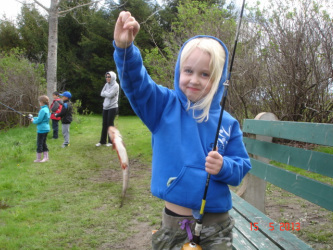 In 1999 SSWA was asked by BB director, Marjorie Reeves, to assist them with a fishing derby for the ‘littles’. It became an annual event, and two years later we took it over and have hosted it ever since. The derby is held every spring at the MARC ponds in Dayspring. Our club supplies all the bait and fishing gear required. We assist the youth in catching trout, and look after cleaning, bagging, and storing their catches on ice. 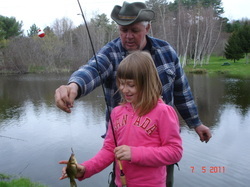 The fishing derby is a favorite for Big Brothers, and definitely SSWA as well. 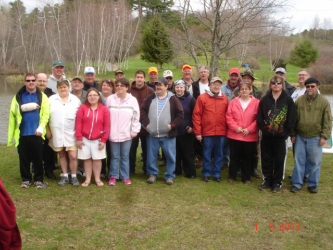 In 2010 SSWA was contacted by CSSG to see if we could organize a fishing derby for their clients after having witnessed the fun that the Big Brothers group had at their event. After some consideration we undertook this project and hosted our first CSSG fishing day outing on May 19'th and have hosted one for them ever since. 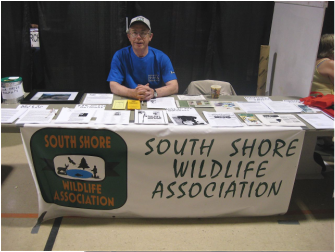 We have a lot of fun at these events and there are always lots of SSWA volunteers to help in every aspect. We supply all the gear and look after all the arrangements. It is a very special event for us and we look forward to it every year. In 2015 members of the ARK joined in the fun with the CSSG group and have been a part ever since. 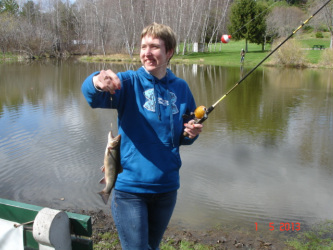 In 2011 SSWA was contacted by a teacher from the school to see if we would consider taking part in their outdoor day at the MARC in Dayspring by hosting a few hours of fishing for the approximately 75 students attending. After some discussion it was agreed that we would look after the classes by splitting them into 3 smaller groups of 25 each and allow them one hr. fishing at the ponds. Again we looked after everything required to make this a very successful outing for the kids. It was their favorite part of the activity day we were later informed. We repeated this experience for four consecutive years before school budgets became an issue and ended these outings. Our newest undertaking for hosting a fishing event took place in May 2013 when the Director of SCLO contacted us in hopes we could do the same for their group as we have been doing for CSSG. Our volunteers were not disappointed as we had a great time assisting the excited participants in catching many nice trout. This event has become an annual for them as well as the other ones we entertain. In 2017 we were asked by staff at Bonny Lea if they could take part as well so they have been invited ever since as well. These fishing outings are a highlight for all of these organizations, and we are very happy to make them happen. 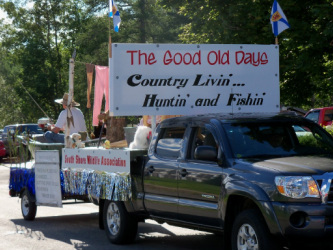 The SSWA has taken part in local parades numerous times since 2000. It’s not only a great way to promote the Association, but also to win recognition for our efforts. We have been presented with ‘Best Of’ and ‘1st Place’ awards from Mahone Bay, Western Shore, and Bridgewater, including cash prizes totaling $750. See our History for more detail. 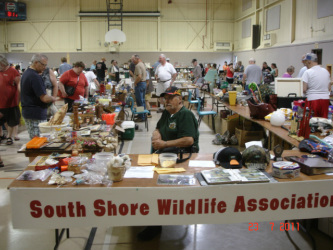 Each June or July SSWA organizes a fund raiser Flea Market at the Michelin Social Club. We host up to sixty sellers' tables and admit over five hundred attendees for this four hour event. Contact us if you’re interested in taking part. Many hundreds of people attend each year and the exposure for our club is excellent. Special interest has been focused on the Black Legged Tick and Lyme Disease the last few years since the explosion of this scary health hazard.